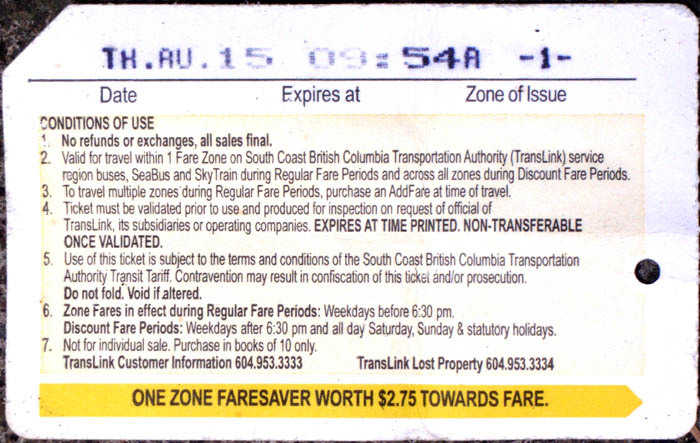 TransLink has announced plans to provide up to a 14% discount over cash fares for users of the Compass Card. How will the savings compare over the current discounts for the Faresaver tickets? 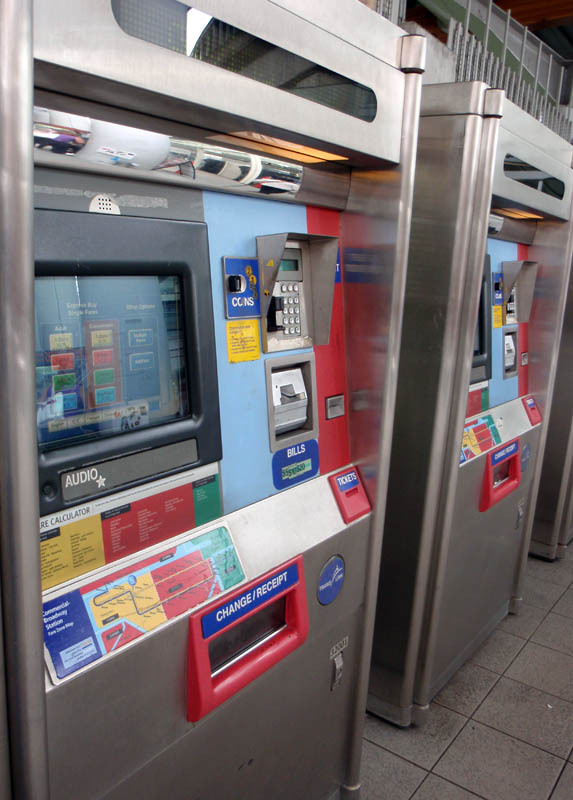 Will the prepaid stored value Compass Cards still be more expensive? With cash discounts ranging from 21.25% to 23.64%, the current Faresaver tickets are clearly less expensive than Compass Cards that will only have a maximum 14% discount over Stored Value cash fares. 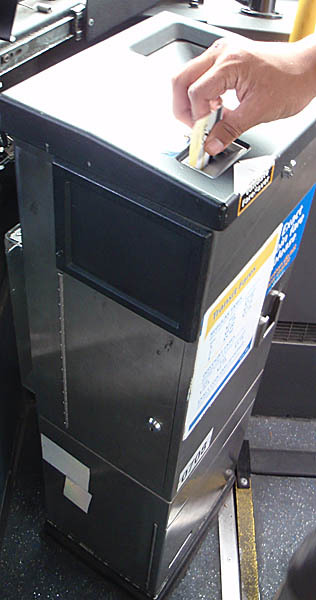 The changeover will result in a fare hike for some users since the Faresaver booklets will be phased out soon, perhaps by January 2014. Will transit rates be changing? No. TransLink’s base rates are not changing at all. We’re discontinuing some discounts, thereby making rates more equitable for users across the system. 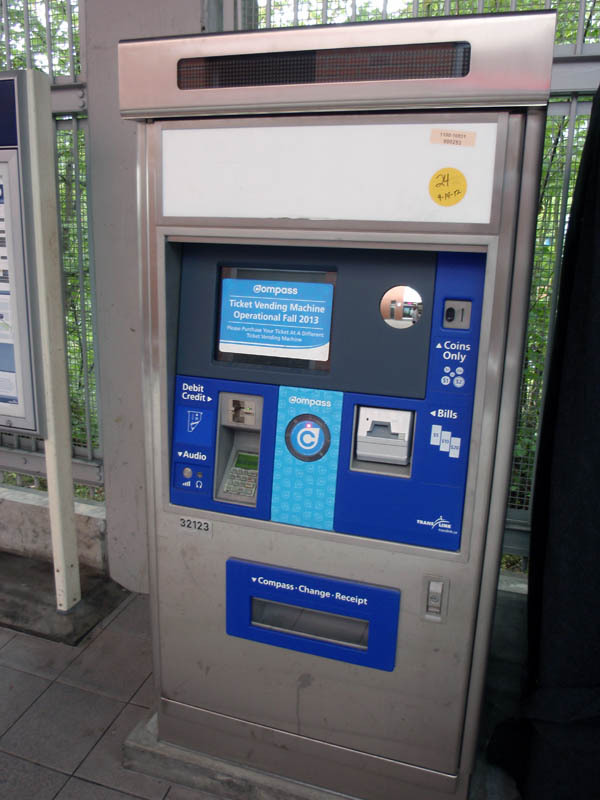 The Compass card changeover will result in an increase in some of the rates as many users do not merely pay the “base rate” or full cash fare for a single trip. There are a number of different Compass card options. The ‘Stored Value’ operation of the card is a method for adding cash to the card. Credit is deducted whenever the card is used. 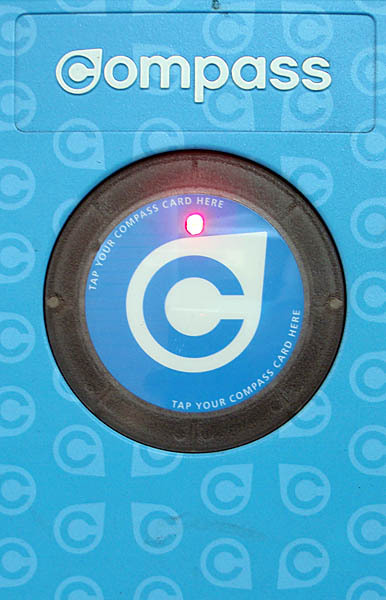 The Compass Card can also have a Monthly Pass loaded onto it. The fares with a Monthly Pass should remain unchanged. 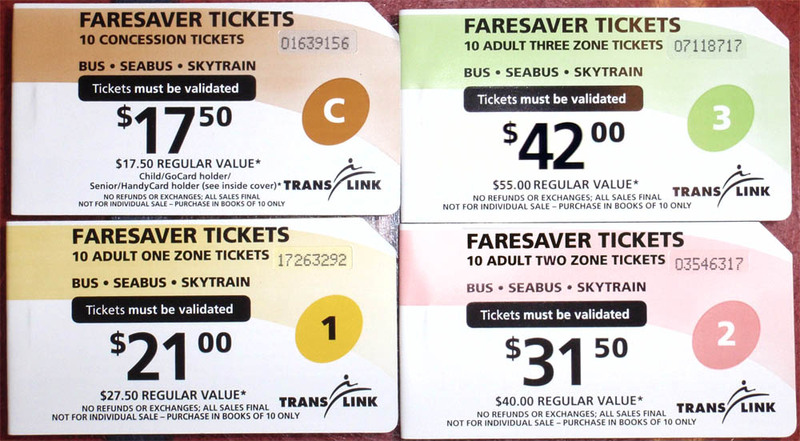 TransLink maintains that the discounts for Faresavers were historically less than at present as the rationale for having only a 14% discount for Compass Cards over cash fares. It’s also important to note that Compass Cards with stored value will always have the full price of a 3 zone journey deducted when someone begins a trip on transit. This is regardless of whether the journey is on a single zone vehicle, such as the 99-B Line bus, or if it’s a two zone journey such as the 620 Tsawwassen Ferry route. In theory if the user ‘taps’ out their Compass Card at when they disembark then they’ll only be charged for the zones they’ve travelled through. Of course, if there’s a malfunction in the reader, or if the user forgets to tap out, then the fare will be charged for a 3 zone journey. Surely TransLink can limit a cash deduction to 1 zone or 2 zones when vehicles travel through fewer zones? 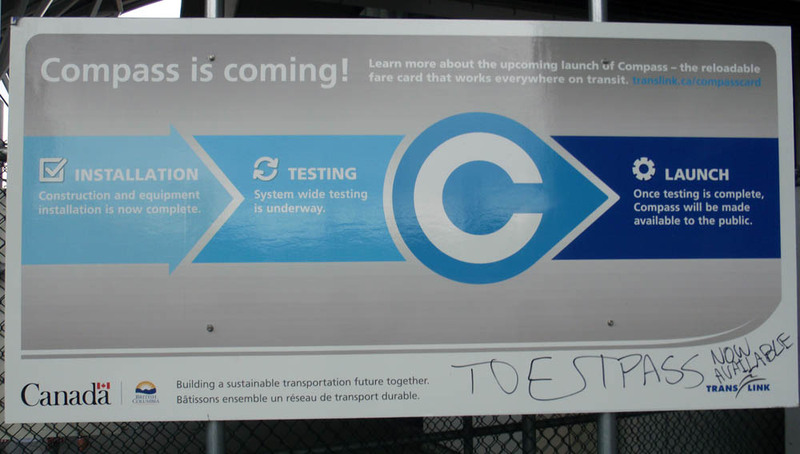 A number of details have been recently released about the upcoming transit system changes. 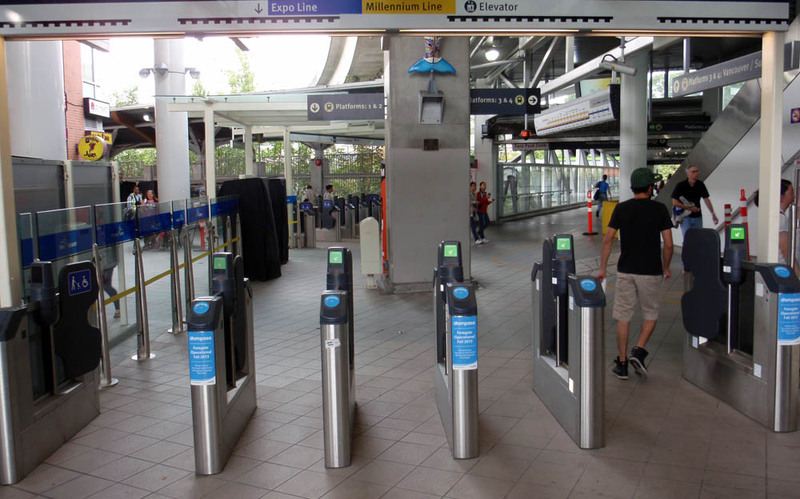 Please see our previous posts for more information: Bus cash fares will not provide Skytrain entry under Compass Card system, new TransLink petition and TransLink announces fare changes for upcoming Compass Card, Beta program.